Gas giant planets like Saturn and Jupiter have rings — and now, we'vediscovered a tiny, distant rock that has its own two rings. Chariklo is a centaur — half-asteroid, half-comet — and the way it got its rings is a fascinating story. 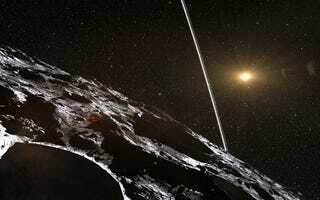 Why Does This Tiny Asteroid Have Two Rings?